A FEC representative said by phone that this would appear to be an improper conversion of campaign funds to personal use. The NCSBE confirmed the purpose of the check and provided a copy along with a copy of the receipt which described it as being for “prohibited contributions”. While federal law does allow contributions by federal candidate committees to state candidate committees, the law also requires that all funds donated to a State officeholder who is also a candidate for federal office be deposited into an account of the officeholder’s principal campaign committee, or other authorized committee, and makes no provision for indirect contributions. In addition, a contribution or donation “shall be considered to be converted to personal use if the contribution or amount is used to fulfill any commitment, obligation, or expense of a person that would exist irrespective of the candidate’s election campaign or individual’s duties as a holder of Federal office.” 2 U.S.C. §439a(b)(2). 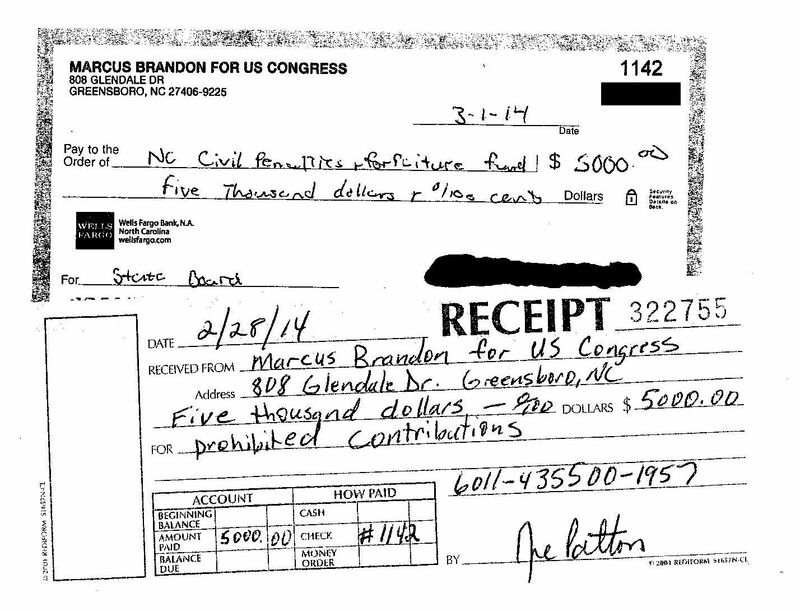 This entry was posted in Uncategorized and tagged Campaign Finance, Marcus Brandon, NC12. Bookmark the permalink.